In The Beginning ft. Templespa. As a few of you may know, balm cleansers are my favourite ever skincare product. There’s something about using them that leaves your skin feeling so fresh and nourished, even through the texture takes a little while to get use to. Today I have a new edition to my collection…. 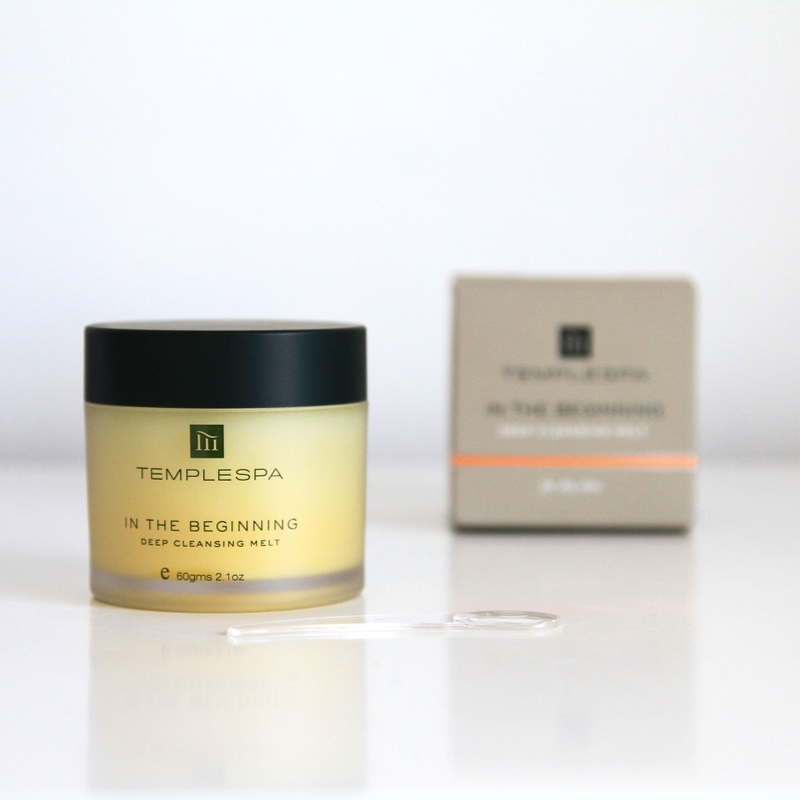 Templespa is a brand that screams luxury and indulgence, enriching traditional therapeutic ingredients and influence from spa remedies. I’ve used a few of their products in the past, but I’ve seem to forgot how good their products actually are, and during the time I’ve been absent they have seriously stepped up their game. 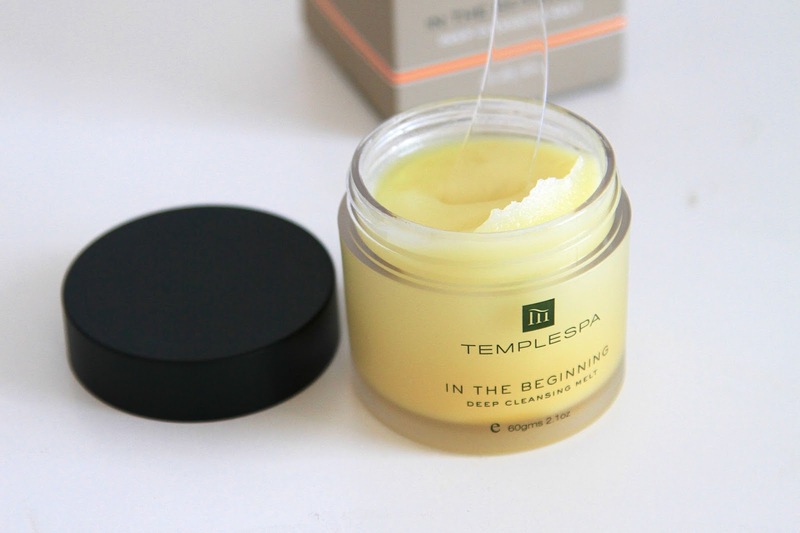 The Templespa In The Beginning Balm Cleanser cleanses and exfoliates your skin simultaniously using non-abrasive micro beads, releasing deep cleansing ingredients including a complex rich vitamin combination. This offers a deep spa like cleanse; removing dirt, makeup and grease gathered throughout the day. This high performance formula calms, soothes and brightens your skin, working hard to increase the renewal of skin cells and removing dead ones. To use the product, simply massage into dry skin in an upward motion melting the balm, gently massaging and exfoliating into the skin to remove any dirt build up throughout the day. When you’ve finished this, use a warm cloth to remove the product from your face, revealing your super soft glowing skin. It’s incredible how your skin feels after one use of this product, completely rejuvenated. The best thing about this product is not a lot is needed, even a spatula is provided so you take the perfect amount of product out of the tub. This by far is one of the most enjoyable products I’ve ever used, and the results are almost instant! I’ve being using this for about two weeks now, and I can see this becoming a staple product within my skincare routine. Previous Post The Real Truth About Blogging. Next Post 3 From Avène.